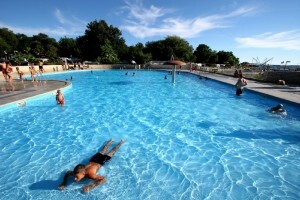 In terms of total camping capacity Porec is beyond doubt in a leading position, the 6 large and midsized campsites can accommodate more then 25.000 campers, the camping offer include 2 FKK campsites, one mixed campsites, and luxury campsites with impressive facilities, in the are of Porec there is also one mini campsite. Camping Bijela Uvala Porec – 1200 pitches, capacity of 6.000 campers, campsite is situated 5 km from centre of Porec, opened from Easter to October. 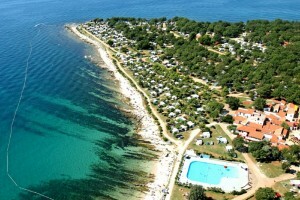 Camping Lanterna camp – 2852 pitches, capacity of 9.000 campers, 13 km from centre of Porec, camps offer Mobile Homes. 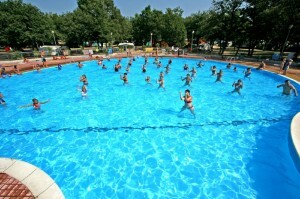 Camping Materada Porec – campsites mainly for mobile home rental, camp is open from May till end of October. Camping Solaris Porec – 547 Pitches, Naturist campsite, capacity of 4.000 campers, situated 12 km from Porec in peaceful surroundings. Camping Zelena Laguna Porec – 688 pitches, capacity of 2.700 campers, separated Nudist area, campsite is situated 5 km from centre of Porec, opened from Easter to October.